Pope's Paradise is a 2 bedroom/2 bath condo located at MAINSAIL Resort, where our building actually touches the sun and faces one of the most beautiful beaches in the world! We are on the second floor. The complex is equipped with (2)pools/hot tub area is complete with a waterfall. 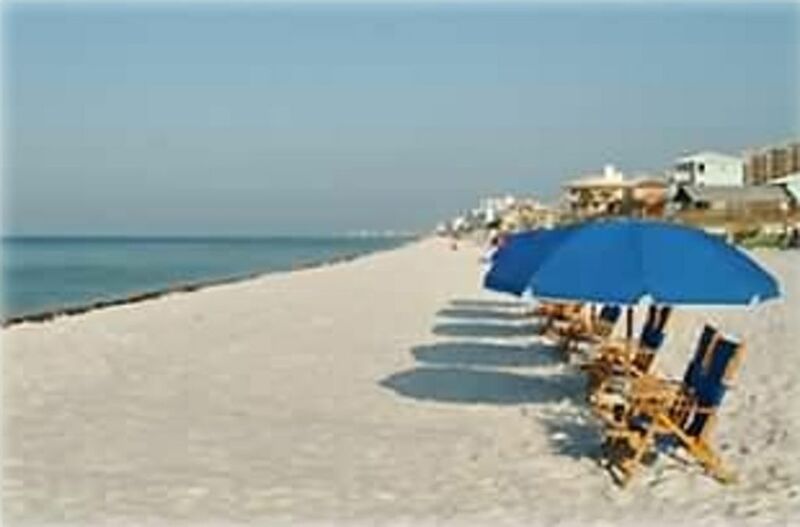 Destin is rated in the top 10 world beaches. Redecorated and renovated kitchen and bathrooms in late 2010 with designer appointments and new hurricane slider doors to enjoy the outside coming in, gorgeous views of the beach, coastline, and surf from the master bedroom, living and dining. The balcony overlooks the ocean, the beach, lush landscape and featuring fabulous sunsets from the bedroom and living room! Rated PLATINUM. Absolutely no Pets allowed and No Smoking. We feature (3) Flat Screen TVs, (2) DVD Playesr and Stereo and Ipod speaker and High Speed Internet. Italian tile extends over the entire condominium, accented with beautiful area rugs. A fully-equipped kitchen with 24 hour/7 days security and patrols and gated entrance. Features king-sized bed in master bedroom and queen in second bedroom, a twin bed is available by request. We choose to limit the number to four (4) or five (5) people. This is one of Destin's best! Click the 'camera' for more pictures. Richard and Lona Pope have been traveling all over the world. With 5 children, 7 grandchildren, 4 great grandchildren between them, family is a big part of our life. To that we add our English Bulldog, Jackson who seems to round out our family unit. Richard is a businessman and owns two businesses in Gainesville, GA. Lona is a retired banker that spends much of her time doing Rotary International work and serving on many boards in their community. After visiting Destin and Mainsail for many years with friends, it was time to look around to purchase our own paradise. Looking around and realizing there was not a better place that was smaller complex, secure and well managed not to mention the best beach in town took us back to Mainsail. Conveniently located to everything Mainsail has truly become 'Popes Paradise' for us, our many returning guests and our kids and grandkids. It has been mentioned more times that not how well appointed our condo is, from spices to paper products and more... it is truly a home away from home. NO need to pack all the extras when staying at Popes Paradise you will feel like you have come home~! Code to Fitness Room is in letter / Children under 18 must be supervised.